Par Way Tryson Bak Klene All Purpose Aerosol - 14 Oz. Par Way Tryson Benton Lane Supreme Coating - 16.5 Oz. Par Way Tryson Benton Lane Water Base Aerosol Coating - 16.5 Oz. Par Way Tryson Bak Klene Bread Aerosol Coating - 14 Oz. Par Way Tryson Vegalene Aerosol Coating - 14 Oz. Par Way Tryson Vegalene Aerosol Coating - 21 Oz. Par Way Tryson Vegalene Canola Pan Coating - 16.5 Oz. Par Way Tryson Vegalene Liquid Coating With Spray Bottle - 0.5 Gal. Par Way Tryson Vegalene Liquid Coating With Spray Bottle - 1 Gal. Par Way Tryson Vegalene Liquid Coating With Sprayer - 16 Oz. Par Way Tryson Waffle Off Aerosol Pan Coating - 14 Oz. Par Way Tryson Bake Sheen Egg Wash Substitute With Sprayer - 16 Oz. Vegalene Buttery Cooking Spray - 17 oz. MallowCreme Marshmallow Cream - 33.5 Oz. Benton Lane Supreme Food Release Pan Spray - 21 Oz. Olive Mist Premium Flavor Spray Aerosol - 21 oz. Bak-Klene Egg Wash - 2.32 Oz. Vegalene Canola Allergen Free Food Release - 1 Gal. Vegalene Non-GMO Food Release Spray - 17 Oz. Vegalene Zesty Garlic Mist Seasoning Pan Spray - 17 Oz. 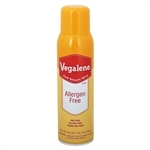 Vegalene Buttery Delite Seasoning Spray - 17 Oz. Vegalene Olive Mist Seasoning and Pan Spray - 17 Oz. Making great foodservice food release sprays for decades. Ideal For Preventing food from sticking to frying pans, griddles, grills, steam tables, casserole and chafing dishes, broilers, cookie presses and sheets, egg poachers, baking tins, pizza pans, slicing blades and any aluminum, iron, glass, pottery, or copper utensils in your restaurant kitchens. Vegalene can be used on cake and pie tins and pizza pans to help crusts brown evenly.